Recently i received some great vintage button to work with . 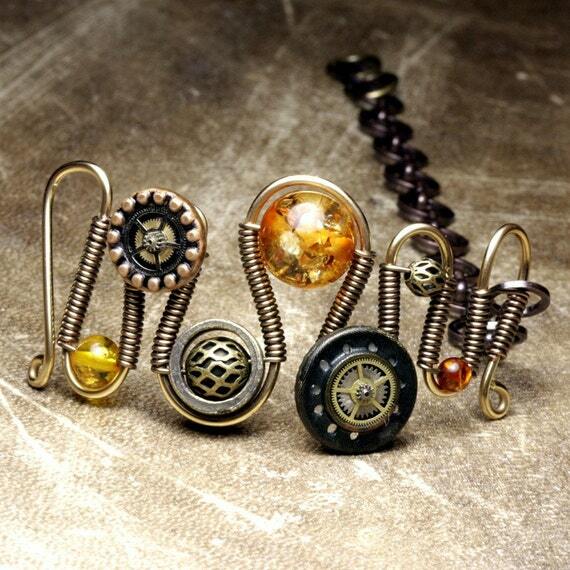 I modified 2 of them with clock gear and mixed some antiqued gunmetal beads + amber . Wow - I love looking at your blog - your work is so cool. Want!! This is just downright AWESOME. No other words to describe it. Well, maybe FASCINATING!